Ministry is entering with our human brokenness into communion with others and speaking a word of hope. This hope is not based on any power to solve the problems of those with whom we live, but on the love of God, which becomes visible when we let go of our fears of being out of control and enter into his presence in a shared confession of weakness. Henri Nouwen keeps talking to me. His gentleness and his earnest and lovely writing always charm me. I cannot help but like him when I read his books. I cannot help but find myself underlining sentences and marking paragraphs for later reference. He writes words that cause my soul to take notice. His writing, I suspect, is not that valuable to non-Christians or even, perhaps, Christians who do not share his educated and Western affluence. He never quite escapes his own paternalistic attitude toward the poor and the disabled. They are always in some ways “others” that he must cross gulfs to understand. They are often — even when he tries to avoid it — objects of his affection or compassion. Their existence often appears to be most cherished by Nouwen when they help him understand himself better. To his credit, Nouwen knows this about himself. He sees his own need to control and his own reliance on his education and social position. He understands his own consuming desire for praise and admiration. He feels them as burdens in some ways, but burdens he never completely lays down. His participation with the poor or disabled always has the quality of a voluntary act, one he could walk away from. His choice to be among them always has a whiff of noblesse oblige about it, even as he writes of the gifts they give him. I find Nouwen so constantly intriguing, though, because I believe he knew this about himself. I don’t think he was falsely humble or hypocritical. He knew his soul was divided against itself in many ways. He did not pretend to has escaped the fallen nature — what he called brokenness — of humanity, even as he sought healing. He remains for me a testimony about how hard we recoil against true Christ-like humility and how powerful are the temptations that lure us to pride and self-justification. 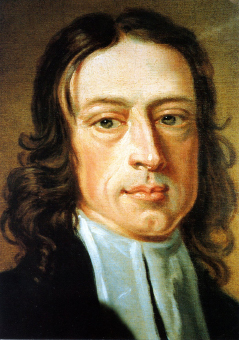 As a United Methodist who values John Wesley’s teachings, I am troubled by some aspects of his testimony, though. Nouwen often seems to me to embrace his brokenness to such a degree that he cannot imagine being truly healthy. He hopes to become slowly more mature in his thinking and spirituality. With the help of good therapy, he learns to put away childish things, but he does not appear to expect to be renewed. Perhaps this is a sign that I read Wesley too strongly or Nouwen too weakly, but I do hear something incompatible in their voices. Even though both would affirm that life in the body will always be a life of temptation and a life subject to frailty and error, Wesley sounds more optimistic about the power of grace to heal brokenness (break the power of sin) than Nouwen does. Nouwen feels resolved to a life without the possibility of victory over sin. Wesley is not. I am not certain what to make of this incompatibility. But I take note of its presence. It calls me to further reflection and prayer. Posted on December 26, 2012 by John MeunierPosted in Christian life, SpiritualityTagged Christian, Henri Nouwen, john wesley. And I’ll confess that I’m a little bothered by the use of the word “incompatible.” People use that word when they’re policing the borders of orthodoxy. I don’t have time at present to unpack the following statement, but perhaps it can stand without that. Your post helped me see how I wanted Nouwen in my addiction but needed Wesley in my redemption (I choose this word over “recovery”).